Michael Ball seen in Kitchener in 2016. 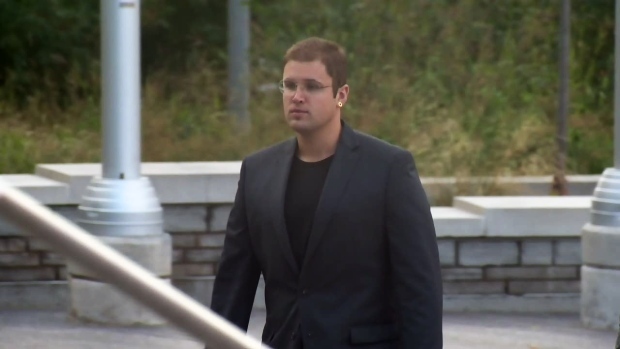 It’s the final stretch of a Kitchener murder trial in St. Catharines. Michael Ball is accused of killing Erin Howlett in 2013. The defence called what could be one of its last witnesses on Tuesday morning. James Baechler testified that he spent weekend with Erin Howlett up until her disappearance. The jury heard that the pair would hang out, party and do drugs together. Howlett was found dead along the banks of the Grand River in the summer of 2013. The crown alleges Ball choked her to death in a fit of jealousy. Ball’s lawyer told the jury last week that his client would not be taking the stand, but instead would be calling on a number of men as witnesses. He says the jury already heard from his client twice in police interviews that were submitted as evidence. Howlett was 27 when she died.